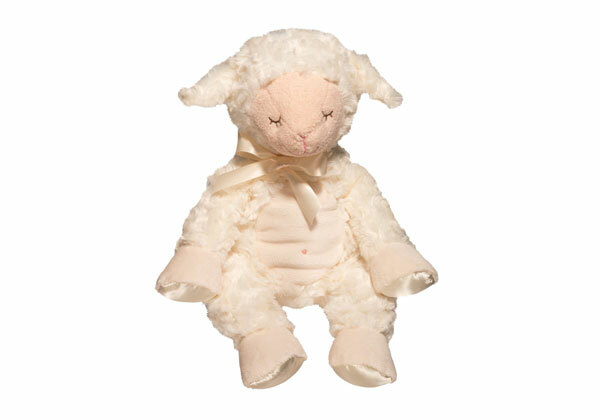 10″ sitting 16″ overall Lamb Plumpie in beautiful cream color, satin hooves and satin bow. Utterly soft, cute and cuddly, under stuffed to make slouchy cuddlers! Age: Birth and up.